Italy is a republic in Southern Europe. The origin of this flag dates back to 1798 when Napoleon founded the Cisalpine Republic. Its design was influenced by the French Tricolor. It was changed in 1848 by the King of Sardinia - adding his arms of Savoy, and became the national flag of united Italy in 1861. In 1946, the arms were removed from the flag and as the state and civil flag, is displayed without them. Le migliori bandieresi trovano qui ! 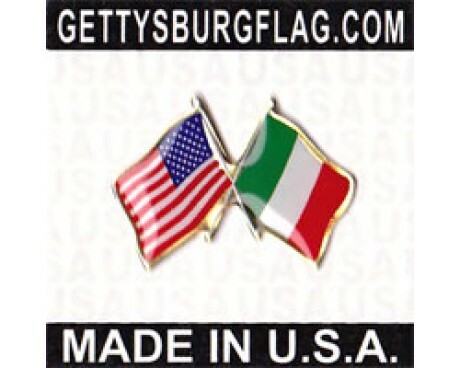 Gettysburg Flag Works makes the best Italy flags on the market. Constructed of the finest grade all-weather nylon, our Italy flag features bright, beautiful colors that represent the true essence of vibrant and bucolic Italy! Italians in the US are known for showing pride in their heritage and Italy flags certainly help express that pride. 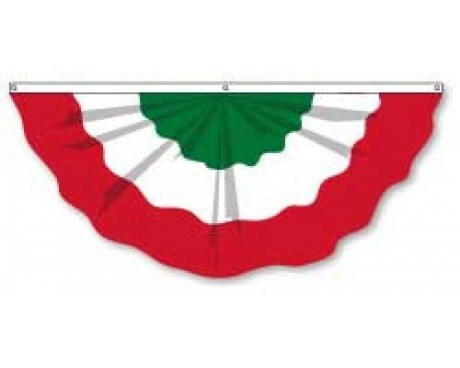 In addition to the residential customer, our Italy flags are commonly sold to Italian American community centers, Italian restaurants and Columbus Day parade committees. 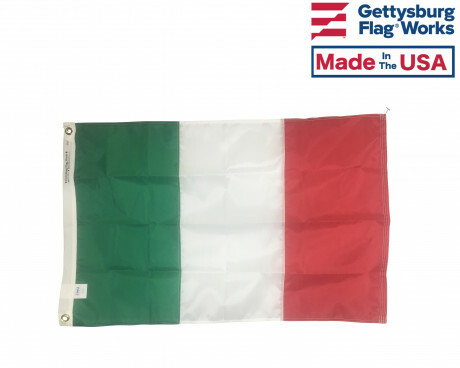 Our quality cannot be beat - buy Italy flags from Gettysburg Flag Works today! The flag itself is a symbol of the Republic of Italy in Southern Europe. The origin of this flag dates back to 1798 when Napoleon founded the Cisalpine Republic. Its design was influenced by the French Tricolor. The Italy flag was changed in 1848 by the King of Sardinia - adding his arms of Savoy, and became the national flag of united Italy in 1861. 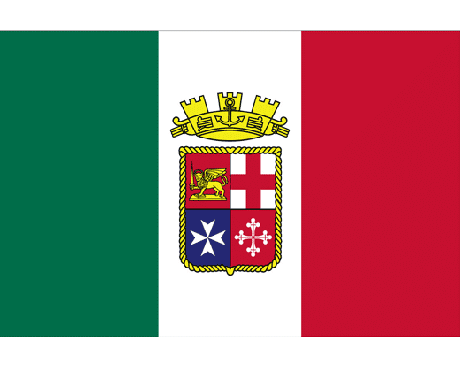 In 1946, after the end of World War II and the removal of the Fascist Dictator Mussolini, the arms were removed from the flag and as the state and civil flag, is displayed without them. The Italy flag as you see it today has been around for 60+ years and become synonymous with the land and people renowned for its rich history and delectable cuisine, nestled in the Mediterranean. 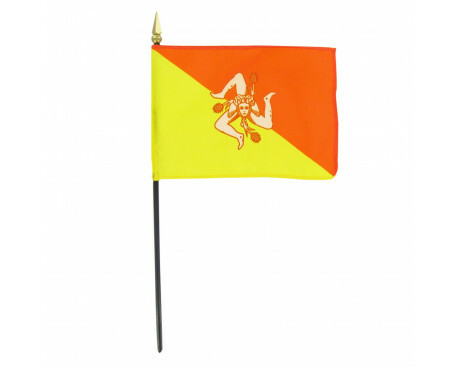 Show off your Italy flags in style! 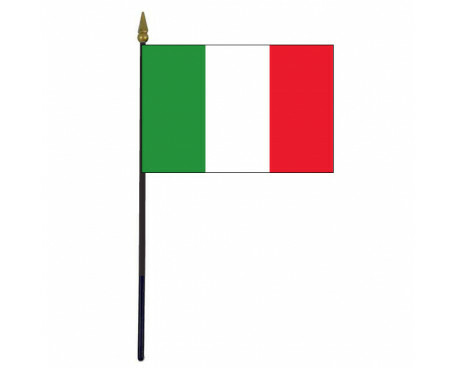 We have multiple styles of brackets and flagpoles to choose from so that the Italy flag looks its best. Looking for a bigger statement to broadcast your Italian Heritage? Consider getting a quote from one of our experts for an in-ground 20’ flagpole, which look fantastic in front of the home or workplace. Many customers who purchase Italy flags are also participants in Columbus Day parades and would love our Italian parade sashes! Made of stitched rows of nylon in the Italy flag colors, our sashes are of impeccable quality and can be customized with your choice of embroidered message. Have a boat? 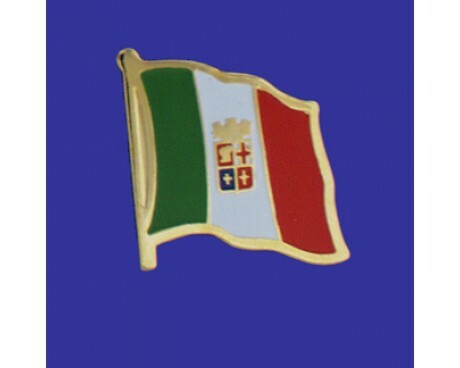 We design and make a wide range of boat and nautical flags, including the Italian Naval Ensign. We can make them in any size, from the smaller 12x18” boat size or a standard 3x5’. 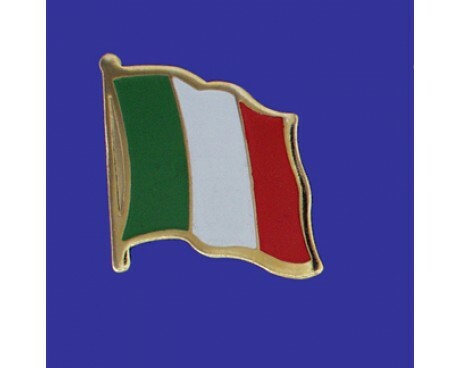 Enquire today about your specialty Italy flag! Customers who bought Italy flags or Italy banners were also interested in our custom flags – including our custom Heirloom Collection. Show off your family crest in style by having us print or sew it onto a banner for you! Ask us today for details.